You will need to have completed the first part of the series. For part two you need experience with React Native. This is the second part of a two-part series on creating a carpooling app with React Native. This is the part where we will be creating the actual app. I’ll be showing you how to set up the app so you can run it on an Android emulator (Genymotion) or an iOS device. You need to have completed part one before moving on to this tutorial. How to use primitive React Native components such as the View or Text. How to add styles to the components. Matching the users so that only the users who are going the same route can share a ride with each other. After two users are matched, the app provides realtime tracking on where each other currently are. For the rest of the tutorial, I’ll be referring to the user who is sharing the ride as the “rider”. While the user who is searching for a ride as the “hiker”. This will create a Ridesharer directory. This will serve as the root directory that we’ll be using for the rest of the tutorial. axios - for making requests to the server. Although React Native already comes with fetch, axios gives us a simpler API to work with. react-native-geocoding - for converting latitude and longitude pairs to the actual name of the place. react-native-google-places-autocomplete - for searching the user’s destination. react-native-maps - for showing a map inside the app. This is also used for showing markers on where the users are and their destinations. react-native-maps-directions - for showing the route from the user’s origin to their destination. react-native-vector-icons - for using icons inside the app. react-navigation - for easily implementing navigation between screens. Once that’s done, save the file and execute npm install. Note that if you’re reading this sometime in the future, you’ll probably have to install the latest package versions and follow their latest installation instructions. Now we’re ready to build the app. Navigate inside the Ridesharer directory as that’s going to be our working directory. Note that anytime you feel confused on where to add a specific code, you can always visit the GitHub repo and view the file. In the above code, we’re using the StackNavigator, one of the navigators that comes with the React Navigation library. This allows us to push and pop pages to and from a stack. Navigating to a page means pushing it in front of the stack, going back means popping the page that’s currently in front of the stack. If you don’t want to create a separate component, you can always use the TouchableOpacity and TouchableHighlight components. Those two allow you to add a custom style. The Home page is the default page the user sees when they open the app. PermissionsAndroid - for asking permissions to use the device’s Geolocation feature on Android. KeyboardAvoidingView - for automatically adjusting the View when the on-screen keyboard pops out. This allows the user to see what they’re inputting while the keyboard is open. Most of the time, especially on devices with small screen, the input is hidden when the keyboard is open. The Map page contains the main meat of the app. This allows the user to share or search for a ride. The tracking of location is implemented via Google Maps, Pusher Channels, and React Native’s Geolocation feature. Note that in the code above, we’re not really handling declines. This is to keep the focus on the key feature of the app. const action = navigation.getParam('action'); // action is either "ride" or "hike"
Marker component for showing the origin and destination of the user, as well as for showing the location of the rider (if the user is a hiker), or the hiker (if the user is a rider). MapViewDirections component for showing the route from the origin to the destination of the current user. GooglePlacesAutocomplete component for rendering an auto-complete text field for searching and selecting a destination. ActivityIndicator for showing a loading animation while the rider waits for someone to request a ride, or when the hiker waits for the app to find a matching rider. Tapper component for sharing a ride or searching a ride. Tapper component for resetting the selection (auto-complete text field and marker). The code above should be pretty self-explanatory. If you’re unsure what a specific prop does, how the component works, or what children is it expecting, you can always check the Github repo of the package we’re using. Make a request to the server to update the route record stored in the Elasticsearch index. If you’re having problems with getting the app to run on Android, be sure to check my article on Debugging common React Native issues on Android. For iOS, you just have to make sure you have the latest version of Xcode installed. 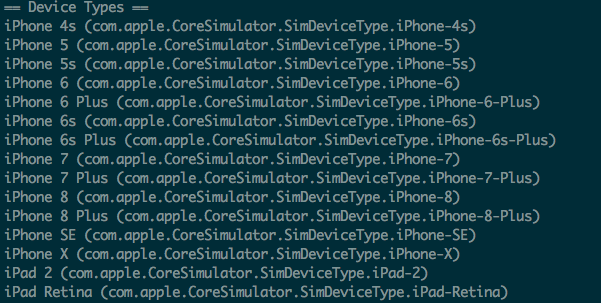 Note that if you want to run the app on a device, you can only do it via Xcode by opening the .xcworkspace file. To run the app on an iOS device, select your device on Xcode and click the big play button. If you’re having problems with running the app on an iOS simulator or device, be sure to check my article on Debugging common React Native issues on iOS. How to use axios to make requests to the server. How to use React Native’s Geolocation feature. 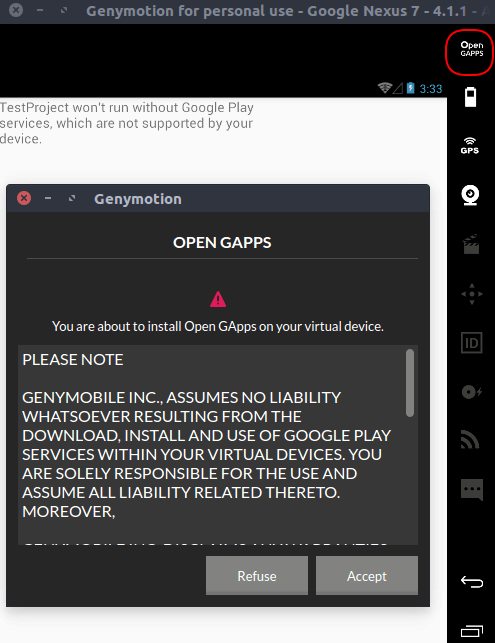 How to add Google Play Services to Genymotion. How to use Genymotion’s GPS emulation tool. How to use Pusher Channels. How to use Google’s Geocoding API. You can find all the codes used in this series on this GitHub repo.